The Ford Ranger has pioneered the pickup truck industry since 1983. Anyone that drives a Ranger knows how reliable it is when you depend on it the most. The smooth transmission and powerful motor work together with a helpful transfer case. The manual and electric shift versions that Borg Warner creates for Ford are the very ones that we remanufacture here in our shop. When you need a Ford Ranger transfer case, look no further than this website for a great deal. You can buy our transfer cases for sale completely rebuilt to OEM specifications right here from www.transfercasesforsale.com. There are many differences in a used and rebuilt transfer case. The most common being that the linkage and gears are usually worn out on used transfer cases or close to it. This is why most dealers save money when buying these drive train parts because they know there is not much life left. Selling used components and letting someone else deal with the warranty has been the standard in the used parts business for decades. We break that mold here and deal exclusively with quality components that are remanufactured to operate just like a new Ford Ranger transfer case. If you have never stepped foot inside of mechanic’s shop, we’ll tell you exactly how we can produce such excellent quality cases. We buy complete and used transfer case assemblies from all around the U.S. We are fortunate to always find low mileage drive drain parts that we can put our work into and rebuild correctly. All of the work is factory certified and all parts are OEM. We change out bearings, chains and couplers to ensure the drive drain works as intended. You won’t find any slipping gears with our transfer cases for sale. We even spin test the gears to ensure that no broken or bent teeth are causing the gears to operate incorrectly. We are one of the few rebuilders of transfer cases that offer a warranty. We know we do great work and we want to prove it to you. This is the reason that we extend our warranty coverage. We care about what you put onto your transmission and we don’t want to be the cause of something bad that happens while you drive. We don’t restrict your mileage just because you have a rebuilt transfer case. You can do as you normally do in your Ranger. When you buy a Ford Ranger transfer case rebuilt from us, you have a partner for life that you can depend on for your drive train needs. You don’t have to pay to buy a rebuild kit or pay someone that does inferior work. Calling (888)-508-7153 will get you our lowest price on a Ford Ranger transfer case. We are professional and very easy to speak with on the phone. If you don’t want to call, we have an online quote option that you can use. Just fill out the form that is located on this page. We send the same low price right out to your email. 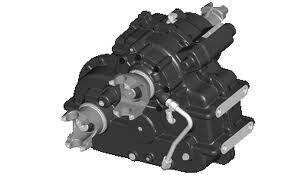 We work hard to give you high quality without the high price when you need a reliable remanufactured transfer case.